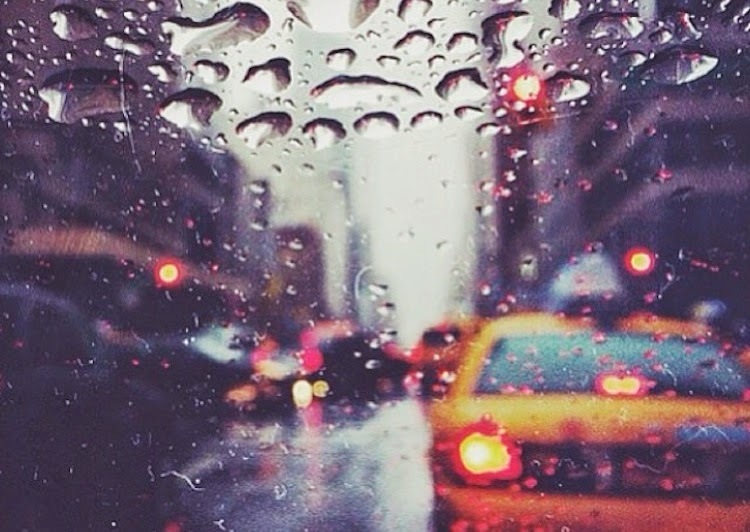 Lately it has been oh so rainy here in NYC. Luckily I have this adorable umbrella to trek around town with. Cannot wait for more sunny days! Such a cute brolly to match your dress! It's uplifting that your fabulous sense of style is evident even in the rain! The similar size prints on your Urban Outfitters umbrella and your dress are lovely! Your hair looks fantastic, especially taking the rain into consideration, You look fabulous. Yeah, where I'm at it's been raining non stop the last few days. I'm so ready for some sunshine! Oh, by the way, the first picture is just perfect! Cute umbrella! I love the flower print of it with your dress. Cute umbrella! I wouldn't mind a rainy day nearly as much if I had that cute thing over me. 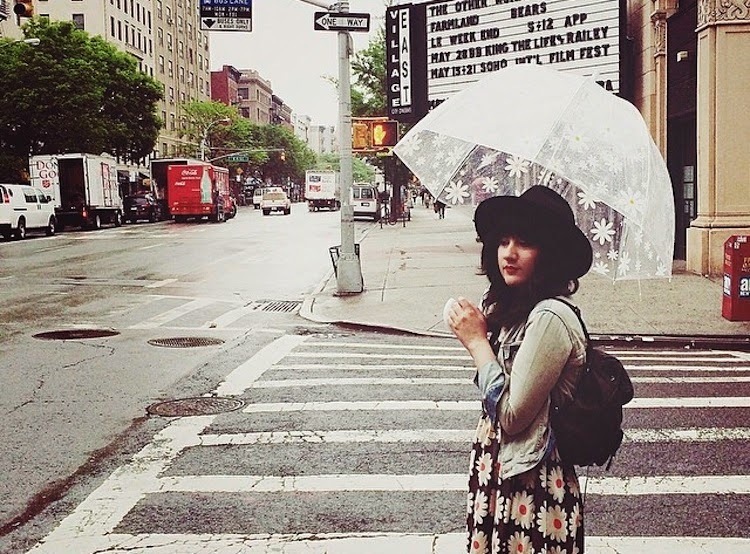 I've been on the hunt for a cute umbrella for the longest time (something similar to yours - clear and white). great new look of your blog! i love your daisy dress! selamat pagi, di tunggu update terbarunya ..
Love the way you have combined this daisy dress and the umbrella with the flowers. It may be raining but that umbrella matches the floral pattern of your dress so well! It almost makes me want it to rain so that I can pick up a print umbrella like that for myself. Almost being the operative word.